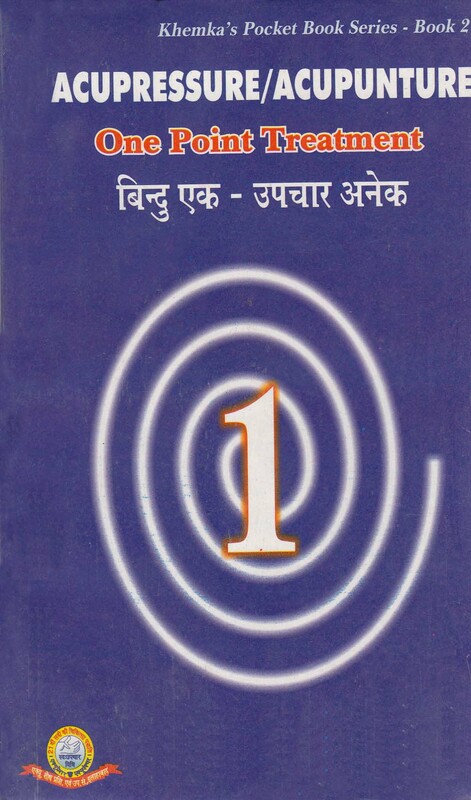 One point treatment Pocket Book-II (Hindi+Eng.) Book I on the subject was a step towards simplification of acupressure treatment so that even a beginner could cure simple diseases. A normal acupressure protocol consists of a minimum of around five to six points and can go up to around fifteen points. To be able to apply these protocols require certain amount of expertise. Further, a patient finds many points to be quite irksome. Hence, a need was felt to minimize the number of points as far as possible. इस बुक के अंतर्गत अँधेरे से, सर्दी ज्यादा लगना,हवा से डरना,स्तन में दूध न आना,क्रोध,वाचाघात होना,कमर दर्द,गाल,छाती की समस्या,खांसी आना,सिर दर्द,गले का संक्रमण,लिवर में फोड़ा,गर्दन,रात्रि में पसीना आना,बार-बार जम्भाई आना,आदि से संबंधित रोगो की जानकारी तथा इसके शारीरिक बिन्दुओ के बारे में हमें जानकारी मिलती है !